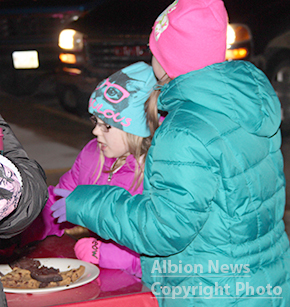 Holiday treats were provided for the final time last Thursday night, Dec. 17, at Albion’s downtown mini-park. Due to ice on the streets, plans for the hayrack rides had to be canceled. 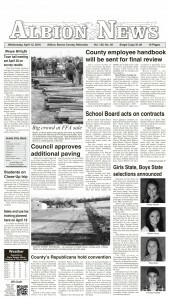 Overall, the weather was warmer through November and December, allowing most Albion Chamber of Commerce events to be held. This year’s Christmas season events started before Thanksgiving and will contine with ‘Elfing’ at local businesses through Dec. 24.